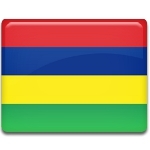 The island of Mauritius officially became a British colony in 1814. At that time, slaves constituted the majority of the island's population. Slavery in the British Empire was abolished by the 1833 Slavery Abolition Act, that came into force on Mauritius two years later. However, the British still needed people to work in the extensive sugar plantations, so they began to bring indentured laborers from the Indian subcontinent. Many Indians volunteered to go abroad for work, hoping to have a better life. They were often deceived by recruiting agents, overworked and underpaid. The first laborers from India arrived in November 1834. By 1838, approximately 25,000 Indian indentured laborers had been shipped to Mauritius. Arrival of Indentured Laborers Day was established to commemorate the contribution of Indian immigrants and their descendants to the economy and culture of Mauritius. According to statistics, 68% of the country's population are Indian, and 48.5% Mauritians practice Hinduism.